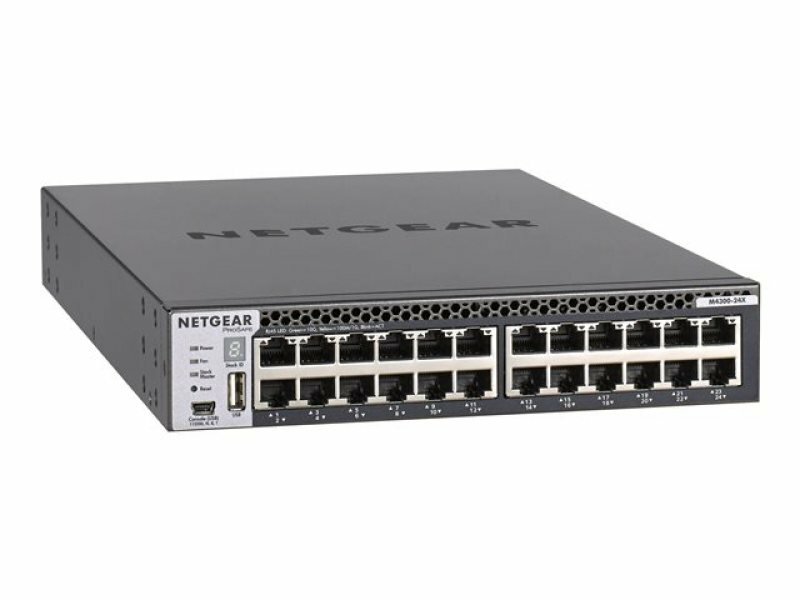 The NETGEAR M4300 Stackable Switch Series delivers L2/L3/L4 and IPv4/IPv6 cost-effective services for mid-enterprise edge with full PoE+ and SMB core deployments with unrivaled ease of use:10 Gigabit models can seamlessly stack with 1 Gigabit models within the series,enabling spine and leaf line-rate stacking topologies. Non-stop forwarding (NSF) virtual chassis architectures provide advanced High Availability (HA) with hitless failover across the stack. Dual redundant,modular power supplies equipping full width models contribute to business continuity management. Layer 3 feature set includes static,dynamic and policy-based routing - as standard. Perfect for wireless access,unified communications and IP video,the NETGEAR M4300 Switch Series is also ready for the future,with Software-defined Network (SDN) and OpenFlow 1.3 enabled for your network.